WILL ELECTION MOVE THE CONFISCATION CLOCK? This is the big question which will the hands of the confiscation clock move after the midterms? Speculation is starting to increase about whether JPFO’s Gun Confiscation Clock will move ahead, back, or stay static, when results of the U.S. midterm elections are known. “It seems impossible the clock could remain still. This election will move the hands,” said Alan Korwin, author of 10 books on gun law and a consultant to JPFO. Other experts within the firearms community tend to agree. “If political power remains the same, with both houses of Congress in Republican control, the hands might actually move backwards from the precipice,” said Alan Gottlieb, founder of the Second Amendment Foundation. “With Republicans in charge for two more years, we could see good model laws enacted,” he said. The Clock is currently set at 14 minutes to midnight. 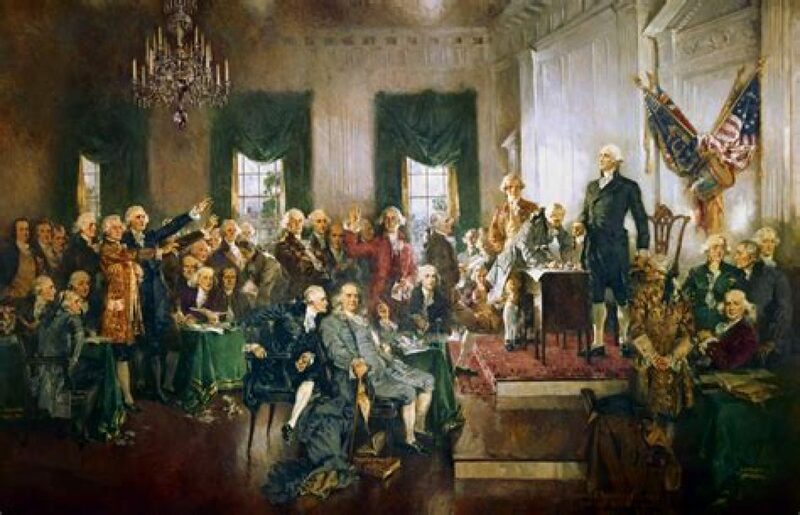 “If both houses change though,” he continued, “the threat to civil rights concerning firearms ownership is endangered and we would certainly seem closer to midnight for gun rights.” The notion that American gun rights could be near midnight due to internal political forces and rising socialism would stun the Founding Fathers. The right to arms was a bedrock principle for them in establishing the Union and freedom to self-govern. Even if the houses split, or majorities change, the election that has the nation on edge will very likely move the hands, Gottlieb and Korwin agree. State races will matter as well, they say, with new or renewed governors, and local legislatures, where much of the action has been recently regarding gun laws and policy. 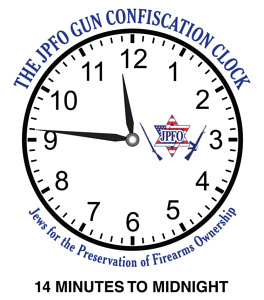 A revised JPFO Gun Confiscation Clock, if issued, will come out shortly after the election. Permission is granted to use JPFO’s Clock artwork in a news context. Previous Previous post: Why Are Taxpayers Paying Planned Parenthood to Donate to Campaigns of Democrats?